Ghulam Mustafa Khan was specially invited to perform in Ahmedabad for this concert on the 5th January 2004 as a celebration of the twenty fifth anniversary of Saptak, India’s premier Music Festival which showcases the very best of Indian classical music for a full twelve days at the beginning of each year. 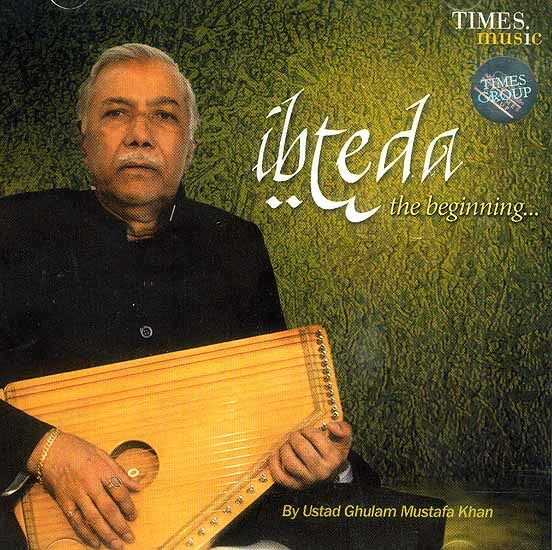 In this recital, Ghulam Mustafa Khan has chosen to perform Kaunsi Kanada, an evening raga, which is a blend of two older and more established ragas, and establishing a calming mood, the khayal begins in a slow rhythmic cycle of 12 beats, the pulse is slow enough for the beat to be further subdivided making it effectively a 48 best cycle. Ghulam Mustafa Khan has chosen to employ the traditional accompaniment of sarangi which is best suited to emulate the subtle nuances of vocal inflexions. 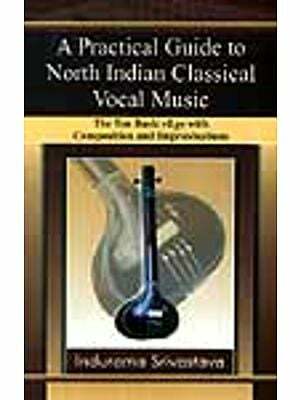 That support is best suited to emulate the subtle nuances of vocal inflexions. That support is provided through the skilful hands of Liaquat Ali Khan who skillfully echoes the imaginative phrases sung by the master vocalist. Hidayat Khan is an expert tabla player with many years experience of accompanying great master. Here he provides sensitive support appropriate to the accompaniment of Khayal. The continuity of the tradition is manifest in the presence of his son Ghulam Murtaza Khan who provides vocal support. Ghulam Mustafa Khan presents three compositions in Kaunsi Kanada in different tempos giving us a full picture of the capacity of the raga. In this recital he concludes with a composition of great beauty in Raga Sindhura. Endowed with an exceptionally melodious and sensitively adaptable voice, Ghulal Mustafa Khan bearswitness to the rigorous traditional training he received from his distinguished gurus. His contribution to Indian classical music goes way beyond his excellent performance. Thanks To- The stage crewat Virtual studios, Nandan Mehta, Prafful Shah, Everyone at Saptak, Kanti Dattani, Rushi Shastri and Verity Sharp (BBC Radio 3/Late Junction) for inspired radio. Mixed and Mastered in the U.K. by Derek Roberts of Soundcraft Productions.